Hey broke babes! 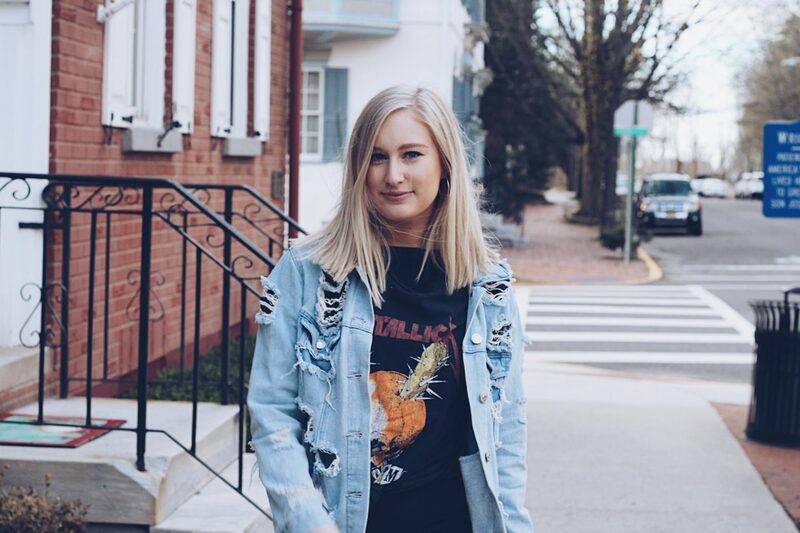 Long time, no chat 🙁 I’m back today to share with you all one of my favorite things to wear atm…band tees! I know there is some controversy about wearing band tees if you don’t listen to the band, but here’s how I look at it…in the long run, it’s just a shirt. Rocking it is totally acceptable in my book. Don’t be hesitant to wear one because “you don’t listen to the band”. Honestly, who cares?! No one knows whether you listen to them or not so fake it ’til you make it, babe. 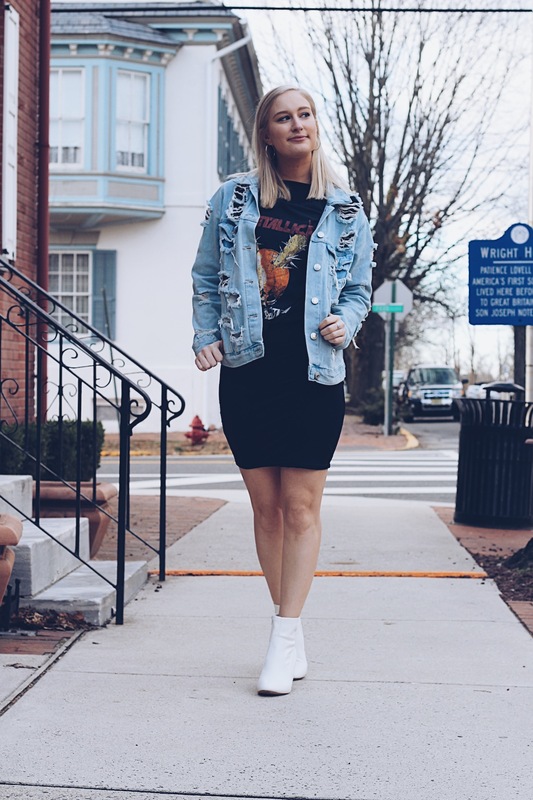 Band tees are so fun to style and they add a lil extra edge to an outfit. They’re effortlessly stylish and will always be on trend. 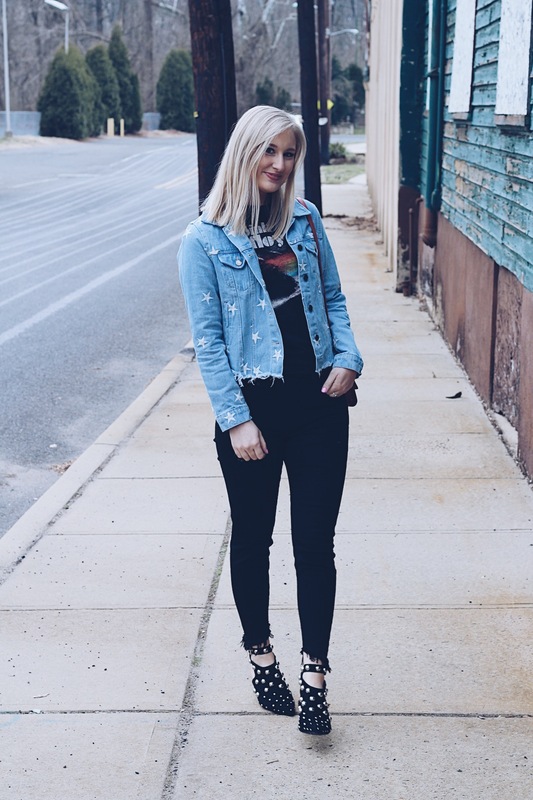 Here are 3 of my favorite ways to style band tees! 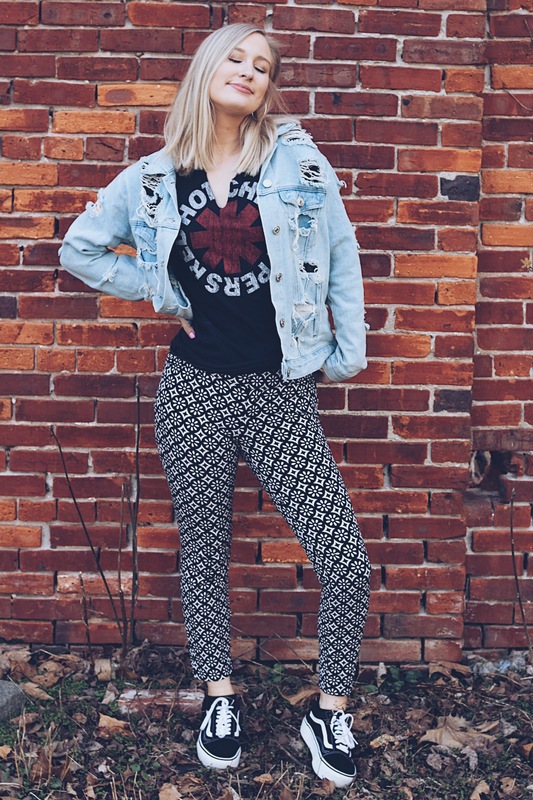 Fun, patterned pants have been sooo in recently and I’m all about it. Mixing patterns is so cute and really can make your outfit super eye-catching! 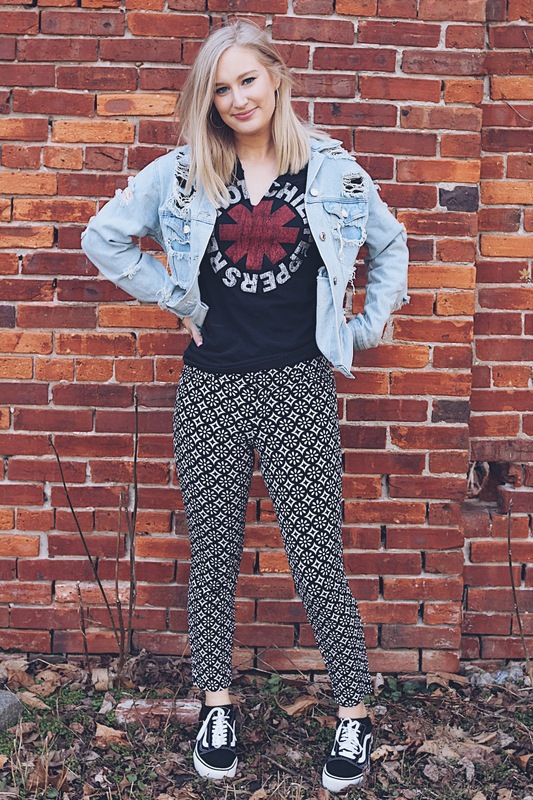 This outfit is so chill and comfy – which are two of my staples in an outfit! I added this distressed denim jacket for some extra edge 😉 And, not gonna lie, these platform Vans are EVERYTHING and they make me feel like Avril Lavigne. It’s great. I’m not sure which part of this outfit is my favorite…the shoes or the jacket! I recently saw one of my fave bloggers The Lemon Blonde, wearing these shoes and I died. They are everything I could ever want in a little black bootie!! 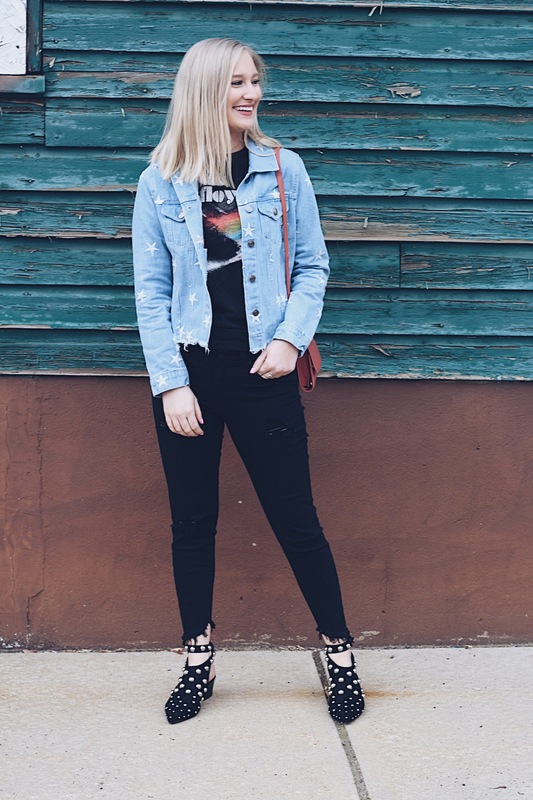 The studs on the booties and stars on the jacket add texture to the outfit, while the jeans and tee keep it looking simple! "Things You Need In Your Life: Spring Edition"